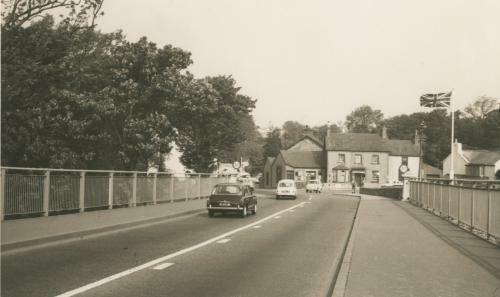 A photograph taken in the 1960’s of the approach onto Anglesey across the Menai Suspension Bridge. Straight ahead, you can see the old Rock Vaults, with Rock House attached. The Vaults (supposedly opened for the use of the labourers engaged on the building of the bridge) was demolished in the course of road improvements and the construction of the traffic roundabout on the Anglesey side of the Bridge.